"It's making me fat", Streisand said. Looking at her hand, she jokes, "Honest to God, I'm not gonna lie - don't I look kind of hard?". Last month, Streisand released her first album since 2005, "Walls", which contains a track that directly speaks to President Trump and voices her distaste for what his administration is doing to America and the world at large. She descried "Don't Lie to Me" as "upbeat" and "contemporary", but added that "it expressed my anger, it expressed my frustration". Her magnificent voice, at times quivering with deeply felt emotion, may not be the flawless instrument for expressing pointed political anger, and the soft string accompaniment becomes a bit predictable. Of course, Grande will certainly have the chance to show off her fierceness next year when she heads out on a world tour to promote her new album Sweetener. She tells James, "You told me it was an escape room, not hell, what is this?. I hope it does". 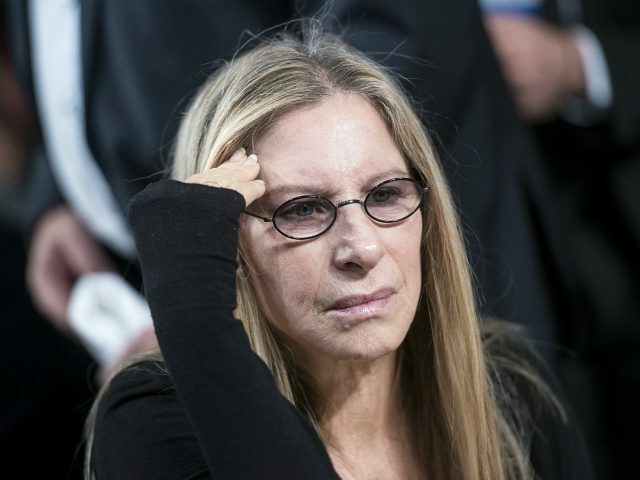 "I don't know", Streisand told The New York Times. "I worry about what is the image he's projecting to them". But after that, she has plenty to say about the state of the union: "Sometimes my heart just wants to cry/How did we come to this divide?" she sings over the lush, bossa nova-laced atmosphere. "I was very proud of her", Streisand said. Streisand said she's not concerned about offending Republican fans, explaining, "Art or music transcends politics, I think". "I want to sleep nights", she continued, "if we take the House [of Representatives] I'll be able to sleep a little bit better".